Time Warner Cable Friday added 19 TV channels to its iPad app offerings just a day after Fox Cable, Viacom, and Discovery Networks forced the cable company to pull from its iPad app the channels MTV, Comedy Central, and Nickelodeon. New channels include CNN, Bravo, ESPNnews, and A&E, to name a few. 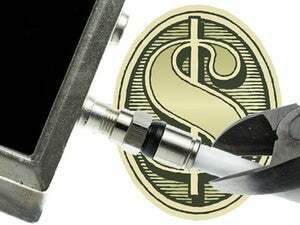 The moves underscore tensions between cable companies and broadcasters as they move into the digital era of making content available to their customers on mobile devices such as tablets and smartphones. Does Time Warner Cable (TWC) have the rights to beam the TV shows it buys from Fox, Viacom, and Discover over the Internet to its customers? There is no clear answer to that question. Analyst Rob Enderle, with the Enderle Group, called this fight a collision of old technology and new. "While this battle rages the consumer is caught in the middle," he said. In the interim, companies such as TWC, are boldly testing the limits of broadcasting and offering consumers new choices they have never had before from their cable company. 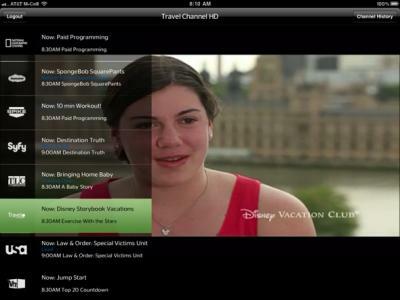 TWC is unique in that it allows you to watch live feeds of television shows letting you to watch live CNN programming, for example, on your iPad the same way you would watch on your TV. Friday's move is an impressive rebound for TWC from Thursday's retreat. It also solidifies the TWC app as the one to watch in live-TV-on-the-iPad race. It should be noted the service has its limits. It only works if you're a TWC cable customer as well as have TWC for your Internet connection. It then only streams when you're on your home network. In other words, if you are at your friend's house who uses Comcast, your TWC app won't work. There are other limitations: TWC doesn't appear to have any on-demand content (as its cable provider competitors do on their iPad apps), so it really isn't any different than plugging a TV into the wall. This is the argument TWC is using when it says the contracts it has with Fox, Viacom, and Discover allow it to deliver the content to all screens in a customer's home. I'm hoping that TWC pushes this and gets some sort of concession from the networks or has this go to court, as it will set a precedent for other companies. If TWC can get the networks on board to allow it to stream all its channels, that could be a must-have app - even if limited to your home. "In a few years we'll likely look back and wonder what all the fuss is. 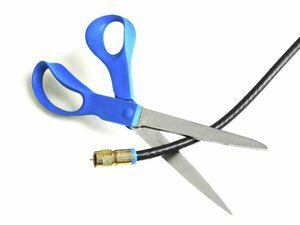 But until then we'll live with a lot of drama as all of these entities fight to see who is the most redundant and the Internet content providers move to producing content, making both the cable providers and (broadcast) networks increasingly obsolete." For a complete list of channels Time Warner Cable added Friday, check the company's blog. Will the additions be enough to get you to add the app? Let us know in the comments section.